Tokyo, Japan & Brussels, Belgium, May 29, 2018 – Asahi Photoproducts, a pioneer in flexographic photopolymer plate development, today announced it will be attending Gallus Innovation Days for the first time. The event takes place in St. Gallen, Switzerland, from 26 to 28 June 2018, the third Open House event hosted by the well-known Swiss manufacturer. Asahi Photoproducts will be showing its AWP™ DEF/DEW plate solutions featuring Clean Transfer Technology, exhibiting in Hall 1 as a Gallus partner. Asahi’s Clean Transfer Technology has been developed with fixed colour palette printing in mind, delivering the quality and precise register this printing technique requires. All future Asahi plates will be equipped with Clean Transfer Technology, delivering the outstanding quality and overall equipment efficiency (OEE) demanded by leading converters in a highly competitive market. 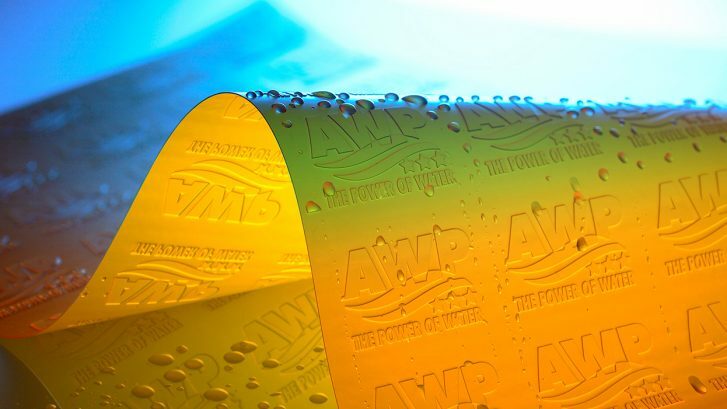 Asahi’s AWP™ DEF/DEW plate technology provides a viable alternative to conventional flexo printing plates. Its water washable printing plate technology does not require high temperatures or VOC-based solvents. It provides high register accuracy, making it particularly suitable for printing with a fixed colour palette and enabling odourless production. In addition to saving time and money and reducing waste, it also supports energy savings, whilst assuring exceptional quality and brilliant prints. 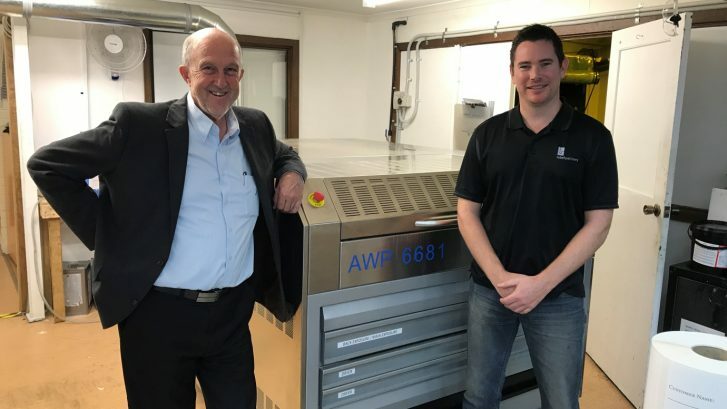 Colognia Press, based in the Czech Republic, has recently discovered how AWP™ plates with Clean Transfer Technology can lead to significantly higher productivity in flexo printing. The company uses Gallus presses and water washable flexo plates and was able to increase machine availability by 110%, simply by switching to an Asahi plate production system. 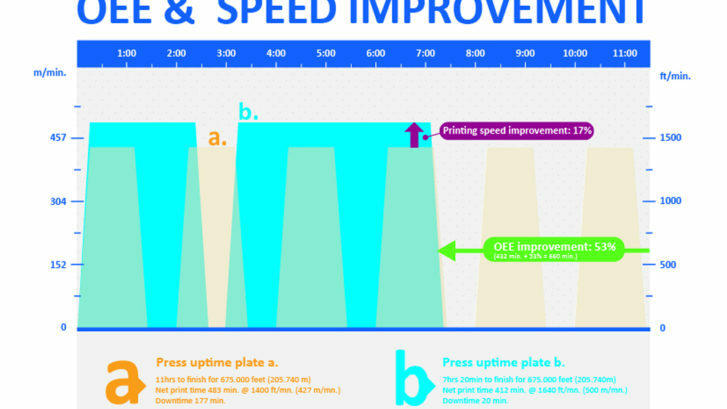 The previous flexo printing plates had caused lengthy downtimes for plate cleaning and changing. The Asahi solution enables Colognia Press to print practically any job up to several kilometres long without having to stop the machine. Even a 22-hour job ran without interruption from start to finish, maintaining consistent quality with the same set of plates. Tokyo, Japan & Brussels, Belgium, May 24, 2018 – Asahi Photoproducts, a pioneer in flexographic photopolymer plate development, today announced it will be attending EskoWorld for the first time. Asahi will be located in the Innovation Center at the show, scheduled for 5 to 7 June at the Hyatt Regency Hill Country Resort and Spa in San Antonio, Texas. A feature of many of Asahi’s flexographic printing plates, Clean Transfer Technology enables a clean ink transfer and prevents ink accumulating on the plate surfaces and shoulders in screen areas. This leads to fewer cleaning intervals and reduced press downtime, as well as significant quality improvements. Precise plate register achieved with Asahi AWP™ plates ensures very high quality process printing with a fixed color palette, minimizing the need to use and manage spot color inks. 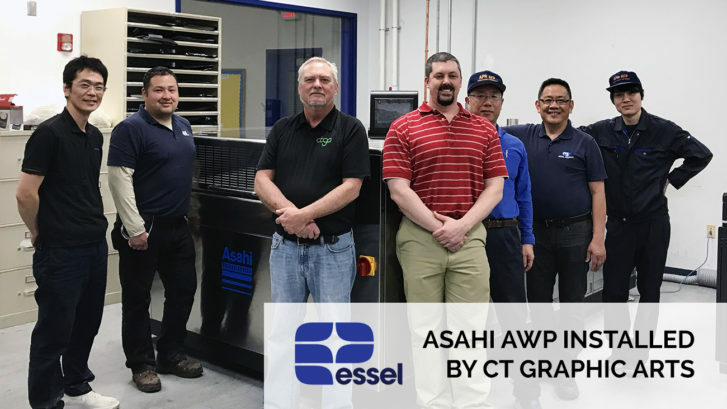 Correct-Touch Graphic Arts recently helped industry leader Essel Propack with the purchase and installation of Asahi’s AWP 4835 Plate Processing unit and AWP water washable flexo plates. 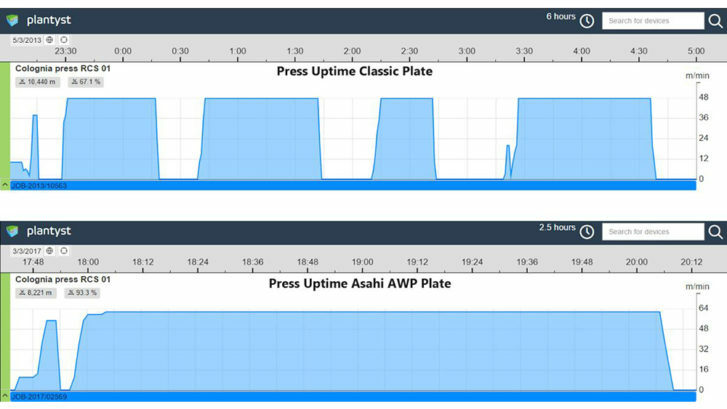 The use of Asahi’s AWP system brings improved quality and sustainability to Essel’s production and greatly improves their OEE (Overall Equipment Effectiveness) with less downtime, reduced waste and increased repeatability. This improvement has a great impact on their overall success and profitability. “The investment in Asahi AWP brings an increased efficiency to our business that allows us to greatly improve output during production. The Asahi Plate processing unit along with the AWP plate material offers us maximum quality and control throughout the print process, and we’re excited for the overall benefit it brings to our company. Both Asahi and CTGA really helped steer us through the entire process from consultation through installation to ensure we got what we needed,” said Srikant Jindam, U.S. Graphics Manager at Essel Propack when discussing the choice to go with Asahi AWP. Essel Propack, part of the USD 4.2 billion Essel Group, with FY17 turnover of over USD 368 million, is the largest specialty packaging global company, manufacturing laminated plastic tubes catering to the FMCG and Pharma space. Employing over 2852 people representing 25 different nationalities, Essel Propack functions through 19 state of the art facilities and in eleven countries, selling circa 7 billion tubes and continuing to grow every year. AWP technology has been designed from the start with a strong consideration for the environment, and a commitment to minimizing any possible waste of precious resources. For starters, the system is water-washable, rather than relying on harsh solvents. The entire plate developing process doesn’t generate any waste other than unexposed polymer residues, which are collected as dry ‘cake’ and safely disposed as combustible material. Traditionally, water washable plate quality has been considered second-best when compared to solvent plates. The Asahi AWP plate does more than match traditional solvent photopolymer plates—it outperforms the best digital plates currently available for flexo. For the first time a digital photopolymer plate can hold extremely small stable dots— smaller than those of solvent processed plates—and its stability on press is superior to solvent plates. 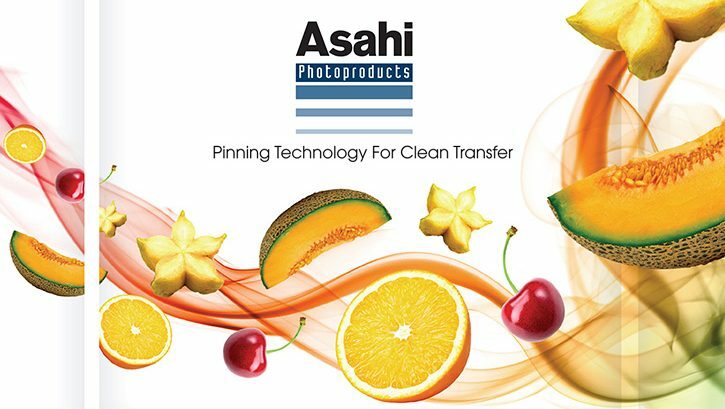 According to Asahi, Clean Transfer Technology is a technology which enables clean ink transfer and prevents ink accumulating on the plate surfaces and shoulders in screen areas and thus resulting in fewer cleaning intervals and reduced press downtime. Asahi will also talk about fixed colour palette printing, which uses a up to seven inks and thereby eliminates the use of spot colours. 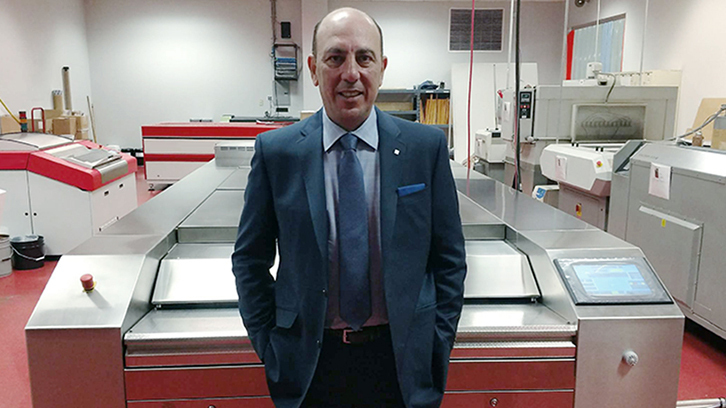 “This is the future of flexography, especially in label printing where digital printing has made significant inroads; it favourably positions flexography to compete with digital printing for the short run jobs,” Yamamoto added. TLMI Announces 2017 World Label Awards – Label Impressions, Inc. Big Winner! TLMI is proud to announce that five converter member companies have won World Label Awards. The L9 World Label Awards (WLA) competition is judged by an international panel of judges representing each of the participating L9 member associations. 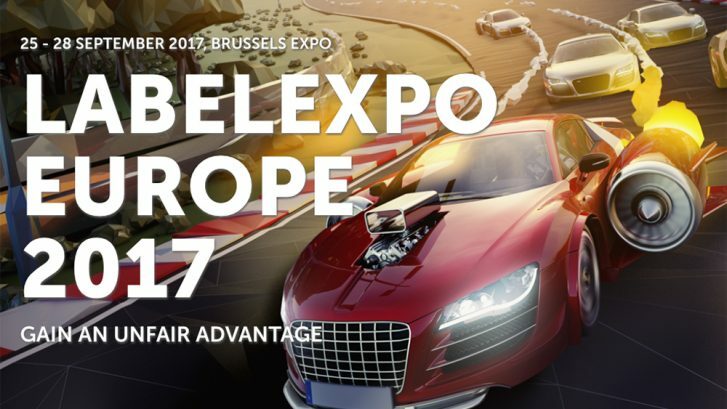 The judging took place in Brussels the day before Labelexpo Europe at the exhibition venue. TLMI members that won awards included Digital Label Solutions, Label Impressions, McDowell Label & Screen Printing, Multi-Color Corporation and Syracuse Label & Surround Printing. Tokyo, Japan & Brussels, Belgium, March 20, 2018 – Asahi Photoproducts, a pioneer in flexographic photopolymer plate development, today reported it will be showing its AWP™ line of water-washable flexographic plate solutions featuring its Clean Transfer Technology at Labelexpo Southeast Asia 2018. The show is a brand-new event in the Labelexpo Global Series. Asahi will be located on Stand D36 at the show, scheduled for 10 to 12 May 2018 in Bitec, Bangkok. Joining Asahi at the event will be its important distributor, Nagase who supports Asahi in Southeast Asia market. At Labelexpo Southeast Asia, Asahi Photoproducts will be showing the AWP™-DEW plate solution, incorporating the renowned quality properties of AWP™-DEF plates with the addition of a faster plate processing speed, making this plate ideal for labels and packaging operations with higher plate throughput who are looking to achieve significant quality and OEE benefits. Tennessee-based Gateway Packaging Company has chosen to partner with CTGA and Asahi Photoproducts after an exhaustive search for an improved platemaking process. Gateway operates three manufacturing locations serving the United States and Canada and produces packaging for consumer packaged goods manufacturers and industrial packaging for the food, agricultural, chemical and charcoal industries. As a leading high-end printer/packaging converter and the largest pet food packaging provider in North America, Gateway Packaging is continually seeking ways to improve products and solve problems for its customers. By switching to Asahi AWP™ flexographic plates with Clean Transfer, the company has taken another step long its path of continuous improvement. Gateway also installed an Asahi AWP 1116 PD Processor as part of the revamping of its platemaking process. production time of 483 minutes or 11 hours with a total plate cleaning time of 177 minutes and a requirement to clean plates every 2.5 rolls of media at 32 minutes per time. As a result of these tests, Gateway decided to make a significant investment in a new platemaking department, implementing Asahi Photoproducts AWP™ water-washable plates and adding a Kongsberg cutting table, a Glunz & Jensen Concept 401 ECLF Exposure Unit, and the Asahi Photoproducts AWP™ 1116 PD Processor. Gateway estimated a payback period of 10 months for this significant investment based on the productivity and quality gains it would deliver. The result was a total production time of 432 minutes or 7.2 hours and an astonishing 53% improvement in Overall Equipment Efficiency (OEE). Asahi AWP™ plates feature Clean Transfer Technology, which allows a kiss-touch printing pressure setting. It makes use of low plate surface tension, made possible by a specially engineered Asahi polymer chemistry, to inhibit liquid flow. The ink forms a globule, with a large contact angle and high pinning point. 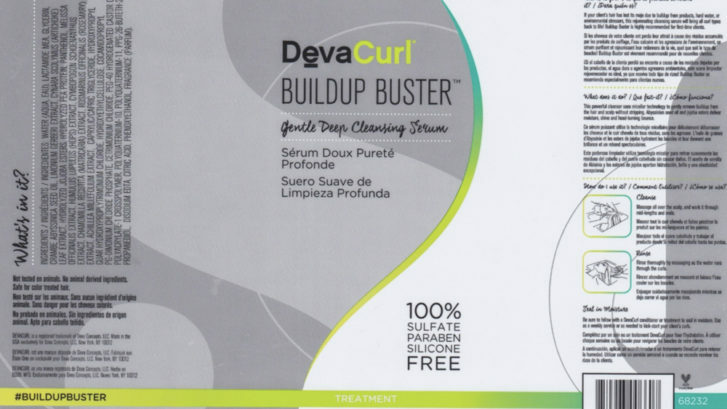 This results in a cleaner and more homogeneous ink transfer from plate to substrate, helping flexographic printers meet the ever-increasing quality demands of their customers. It also ensures precise register and fewer press stops for cleaning or plate changes, increasing Overall Equipment Effectiveness (OEE). Visit with Asahi Photoproducts at Labelexpo Europe 2017 and learn about all the exciting advancements in flexo plate material and equipment they’ve made this year. Asahi will be in Brussels at the Expo on September 25-28 at Stand: 5A34. Take the time to assess your operation and identify any gaps you find in operational efficiency, quality or the ability to produce jobs profitably. Document these gaps with as much quantification as possible. This will be the baseline against which you can measure the potential or actual improvements investments can deliver. Make a list of the suppliers present at Labelexpo Europe who are likely to have solutions that can close these gaps. Map out a logical pathway through the show to ensure you are able to visit all of them. At the same time, be sure to allow yourself time to explore new areas of opportunity you might not have considered. And don’t forget that this is a terrific opportunity to network with your peers to gain insight into how they have addressed moving their businesses forward. Consider implementing fixed color palette printing. 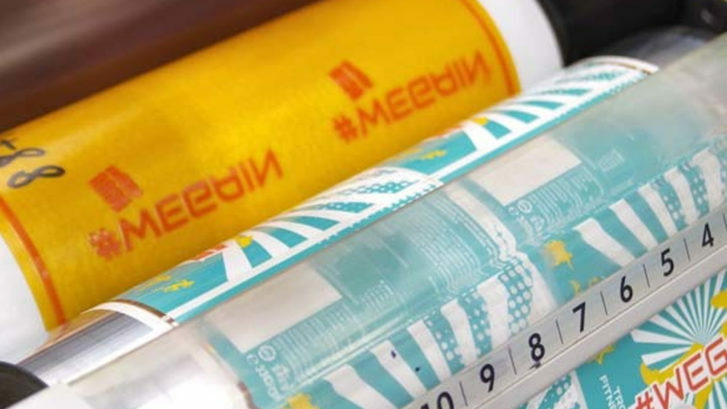 By shifting to a process printing approach using up to seven ink colors, you can minimize the need for acquiring, managing and storing a large inventory of spot color inks. Using a fixed palette of inks means even more improvement in OEE, as makeready and job changeover times are significantly reduced, since there is no need to wash up the press between jobs. Plus, using a fixed ink palette also makes it easier to run combo jobs. Of course, process printing with up to seven colors requires plates that deliver precise registration and clean ink transfer to assure excellent quality in the highlights and midtones while still delivering required ink laydown for solid areas. Find a partner willing to invest in you. Unfortunately, there are too many suppliers in the marketplace that consider a sale to be “one and done.” To truly transform your business, you need to find suppliers that have demonstrated they truly partner with their customers. This is where talking to your peers can be helpful. If you are interested in a particular supplier, ask for references, and then follow up with them. You’ll quickly find out whether customer experiences live up to expectations. Label Partners, located in Southern Australia, provides quality labels for many industries from wine, general food and beverage, fresh produce including poultry and dairy, through to the automotive, pharmaceutical and chemical sectors. Partnerships are an important aspect of the company’s culture – with its customers, employees and suppliers. This includes acquiring the best technology and innovative materials to deliver the exceptional results its customers have come to depend on. In addition to quality, the company is dedicated to delivering cost-effective and environmentally friendly solutions. 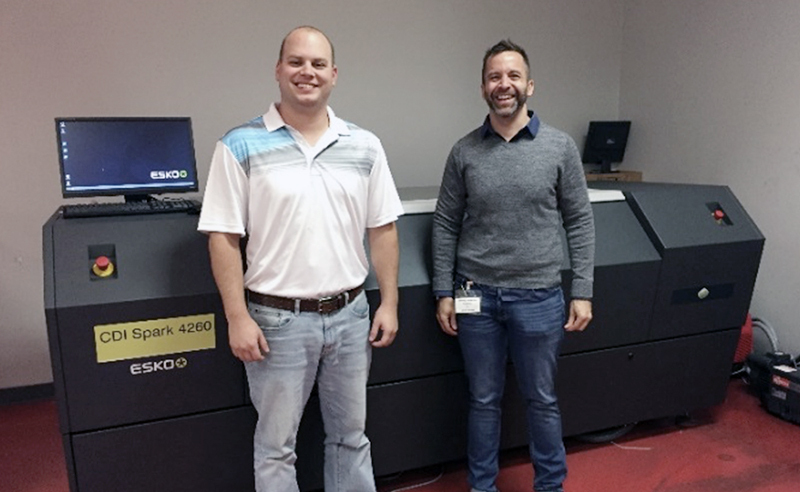 It was in pursuit these goals that Label Partners turned to its dealer, Jet Technologies, and Asahi Photoproducts to revamp its flexographic platemaking process. Label Partners had been using digital water-washable plates for a number of years and had tried various systems and plates with mixed results. After doing its own investigations, trials and working with Jet Technologies on the Asahi AWP plate, the company made a decision in mid-2016 to take its processing capabilities in plate production to a new level and in the end, had no hesitation in its decision to purchase the Asahi AWPTM 2530 Combi all-in-one water-washable plate processor and Asahi AWPTM-DEF flexo plates. This compact all-in-one unit includes high UV output exposure, washout with automatic plate cleaning, solvent saturation analyzer, 4-drawer dryer and light finishing-post exposure drawer. Tokyo, Japan & Brussels, Belgium, August 22, 2017 – Asahi Photoproducts, today reported that Label Partners, a leading producer of quality labels for many industries, has acquired an Asahi Photoproducts AWPTM 2530 Combi all-in-one water-washable plate processor for use with Asahi AWPTM-DEF flexo plates. The Southern Australian company produces labels for companies in the wine, general food and beverage, fresh produce including poultry and dairy, automotive, pharmaceutical and chemical sectors. Asahi plates incorporate Pinning Technology for Clean Transfer, a flexographic plate technology specifically engineered by Asahi that features low plate surface energy that transfers all remaining ink to the printed substrate. Compared to conventional plates, this reduces press-cleaning stops, creating a significant profitability improvement. These plates deliver very high resolution with fine screen rulings and minimum dots fading out to zero, allowing a broader total colour gamut to be achieved, providing more design flexibility and enhanced graphic quality. The company is also pleased with the service it receives from Asahi Photoproducts and its dealer, Jet Technologies, including the remote diagnostics system included in the plate processer that provides peace of mind knowing a solution is always close by should any problems arise. “This kind of support is critical, especially when you are purchasing relatively new technology,” Gillespie said.